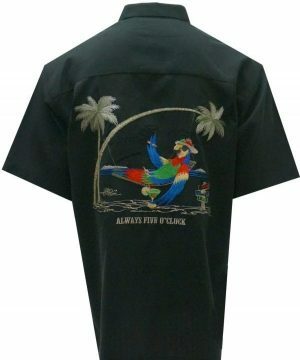 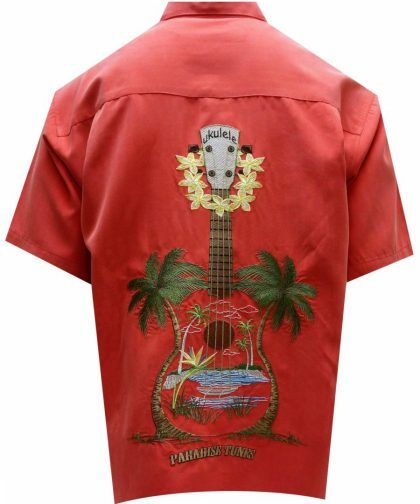 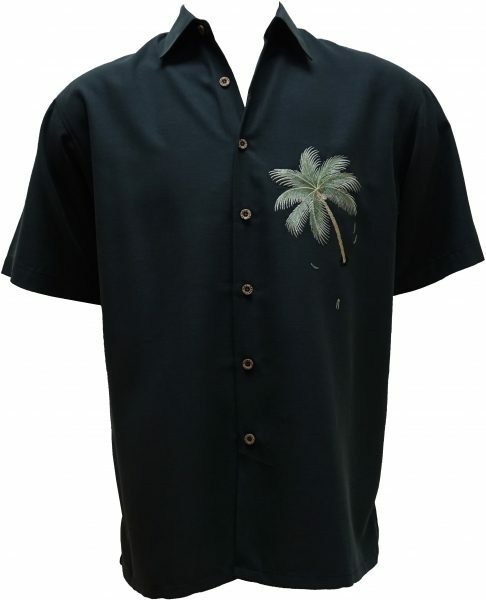 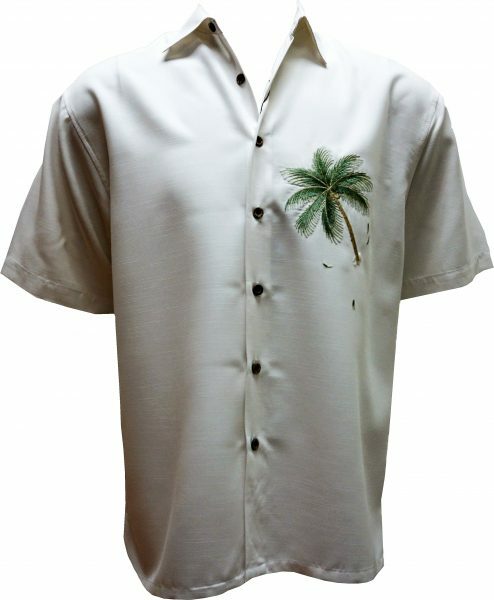 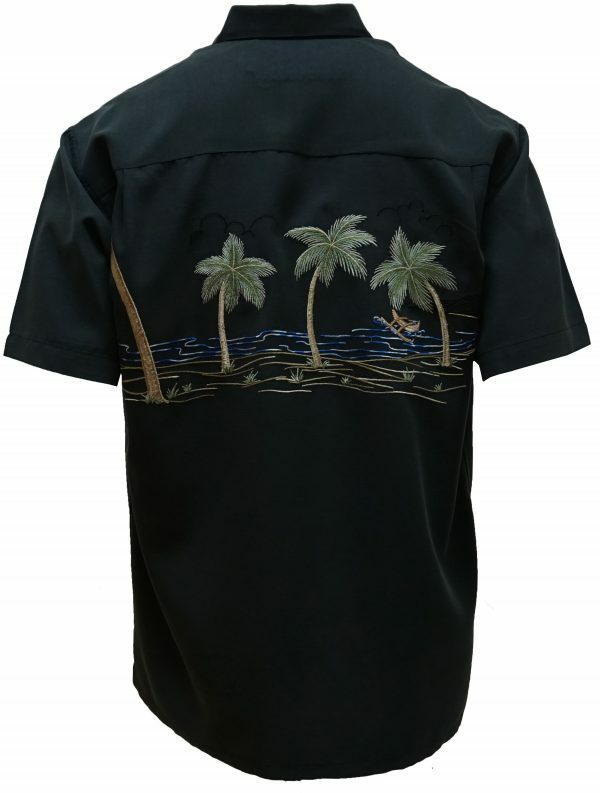 New back embroidery of our original artwork featuring four palm trees with one of the palm trees tearing out from the front of the shirt. 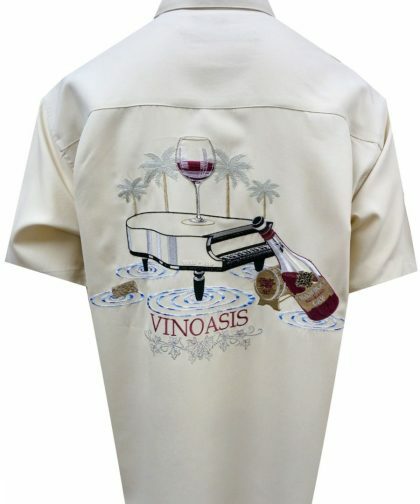 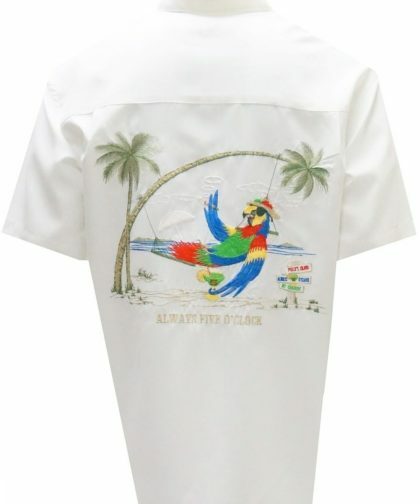 Embroidered on the front in such a way to give it a “tearing out of shirt” look. 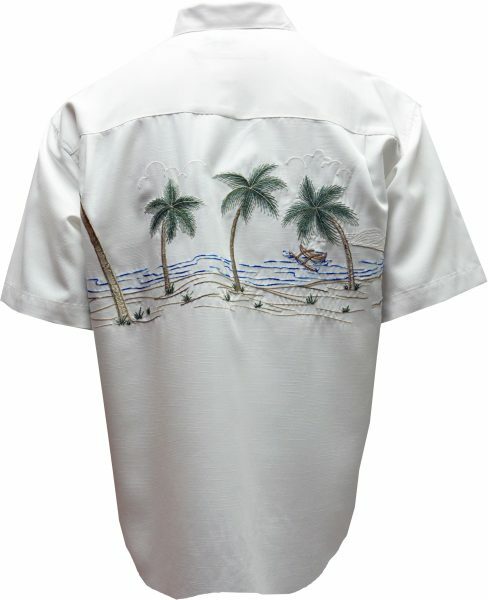 Comfortable sides vents and 2 back pleats to keep you comfortable and relaxed to continue enjoying life. 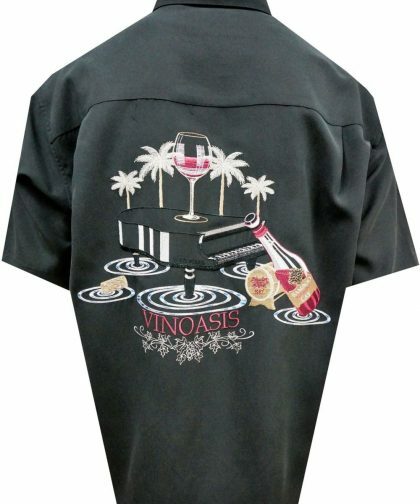 For best results, machine wash cold inside out and tumble dry low.